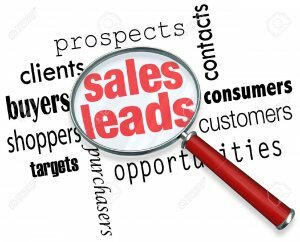 Ways To Generate Real Estate Leads Into Sales! Top 100+ Ways To Generate Real Estate Leads Into Sales! It’s a question every agent, broker, developer, & investor has asked at some point in their career. You might not know how to get real estate leads that actually convert. Don’t worry, we can fix that. We’ve laid out 100+ proven methods for getting them. We’ve discluded most traditional print marketing methods in favor of more scaleable tactics. Be sure to bookmark this page for reference if you ever need to come back. AdWords is an awesome platform to advertise with due to “user intent”. User intent refers to the fact that your ad won’t trigger unless the searcher plugs in a particular term. If you type “real estate agents” into Google you (should) only see ads for real estate agents. This limits the risk of advertising to non-qualified leads which is in stark contrast to traditional marketing. Advertising on a billboard requires you to pay for foot traffic regardless of desire to buy or sell a home. Another way to reach out to your target audience on the cheap. Facebook is suited to residential Realtors®, for obvious reasons. The same rules apply to Facebook as they do with LinkedIn. Don’t spam groups, don’t constantly advertise yourself, do offer genuine help. Post your best content on a consistent basis and don’t be afraid to repost older content. Also, create a Facebook business page if you haven’t already done so. Hands down, content marketing will pay off more than any other strategy listed here. Take a look at the top ranking pages for the search terms you’re targeting. There’s a straightforward way to take their organic ranking. You just have to create better content. Make it longer, more detailed, more informative. Anything you can do to gain an edge. Bill Gassett is a legend in this regard, just take a look at the value he offers on his blog. This is a big one, a really big one. Your email list should be one of the most powerful tools in your arsenal. Email marketing is crucial to your success now and in the future. Appraisers and home inspectors work in the same industry as you but can’t provide the same service. It’s definitely worth a phone call to see if they know of any qualified leads. It’s common practice to offer a referral fee, and you should refer business their way too. Sponsoring a local sports team gets your name out there and earns you brownie points. It might be a little expensive if you’re just starting out, but you can always look for partners. 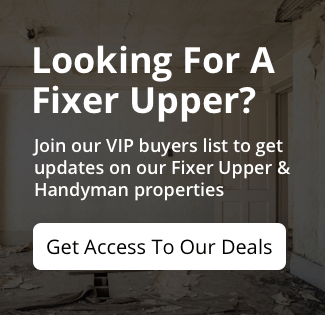 This entry was posted in Lead Generation, Real Estate Leads. Bookmark the permalink.